Juventus sporting director Fabio Paratici has revealed the young talents he likes in Italy while confirming that Matthijs de Ligt is being considered ‘with great care’. In a lengthy interview with Gazzetta Dello Sport, the Juve man first explained how the club came to sign Cristiano Ronaldo before turning his attention to some of the players the Bianconeri have been linked with in the future. “That famous piece of paper I ripped up and threw into a bin was only one of many hundreds,” explained Paratici. “We were at a meeting with Genoa and we noted down some of the players we’d talked about. “CR7 was a bargain, not just in a technical sense: on an economic level he’s already paid for himself. “Marotta was never against his purchase. I’m disappointed that I’m no longer working with him after 15 years. “Allegri’s one of the five best Coaches in the world. He’s a very intelligent man: of course he’ll stay. “So will Dybala. Only those who want to leave Juventus will do so. Who can improve us? It’s hard to say, Messi perhaps. Even with Neymar I have doubts. “James Rodriguez? He’s a great player but again, improving our squad is difficult. “Kean is a great striker, worthy of playing for Juve: he’s one of those who will score in the Champions League and we’ll see playing in Europe for many more years. “Will Pogba come back? No. In football you never know, but it’s very difficult. Ramsey will bolster our midfield in the summer and we’ll also sign a defender. “We’re on the right track for Romero. 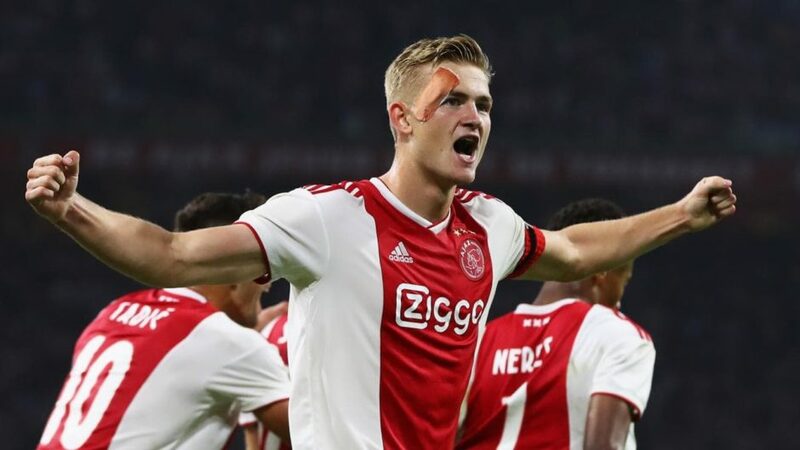 De Ligt is also certainly one of the best young players around so we’re looking at him with great care. “Three good Italians I’d like? Zaniolo, Chiesa, Barella and Tonali. Tonali’s a super lad and he plays with sincerity and character, but no-one compares to Pirlo. Juventus linked with Mohamed Salah?